Once again we have an amazing line up of presenters! We have partnered with Young Agrarians this year which has enabled us to bring up Ben Hartman from Clay Bottom Farms. Ben wrote a book entitled 'The Lean Farm: How to Minimize Waste, Increase Efficiency, and Maximize Value and Profits with Less Work'. We are very excited to welcome Ben to the Bulkley Valley and hear his ideas on using the lean system increasing profits with less waste on the farm! We have also been fortunate to have experts in their field who are coming to speak on topics such as soil fertility, water conservation, land design, pollinators & increasing pollination efficiency. Geoff Hughes-Games is a Professional Agrologist with over 36 years in agricultural soil management. He will be speaking to managing soil fertility, particularly dealing with wet winters and dry summers. Lynn Westcott is an entomologist living here in Smithers who has a passion for bees. She will be talking about different pollinators, and how to increase pollination efficiency. We are so pleased to be welcoming back Gordon Hiebert from Wood & Water Developments. Gord has been working in the field of land design and homestead planning for the last several years. The focus of his presentation will be water management. ​Please spread the word! The Regional District is sponsoring 3 youth (25 years or younger) to attend both the Gala and the Conference. to enter the contest. The theme is local agriculture, but other than that, feel free to get creative! To register, please fill out an event registration form and send it in with your cheque - our mailing address is: Smithers Farmers' Institute, 11658 Snake Road, Smithers, B.C. V0J 2N7. 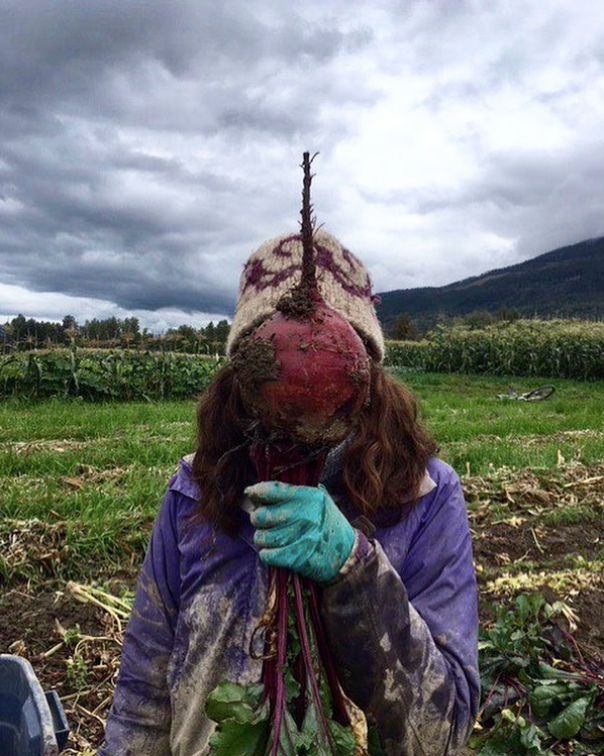 Sponsored by the Province of British Columbia and coordinated by Young Agrarians. In this keynote, Ben Hartman, author of The Lean Farm and The Lean Farm Guide to Growing Vegetables, will share stories of waste cutting from Japanese and Scandinavian farmers and from his own small-scale vegetable farm. Along the way, he will explain powerful concepts from the lean system that any farmer can use to prevent burnout and increase profits with less waste and work. For more information about Ben and lean farming, check out: www.claybottomfarm.com. Want to purchase a copy of Ben's book? Check out Chelsea Green Publishing: https://www.chelseagreen.com/product/the-lean-farm/. Geoff is a Professional Agrologist with over 36 years’ experience in agricultural soil management. He is currently working part-time as a EFP Technical Specialist (BC Environmental Farm Plan Program) at BC ARDCorp and as a private agricultural and environmental consultant. His formal training and education have focused on irrigation, soils, agri-environmental risk assessment and adult education. Raised in the Okanagan Valley of British Columbia, Geoff began his agriculture training and career in Alberta with a technical diploma in irrigation management from Olds College (1979), and then several years of work on soil reclamation for the Alberta Government. Returning to BC, he attended the University of British Columbia graduating with a degree in Agricultural Sciences (BSc Agr – Soils)(1986). Prior to beginning his 29-year career with the BC Government, he worked in the public and private sector on activities ranging from nutrient research in tree fruits to marketing of crop protection products. In 2016 he started a new phase of life; retiring from government, entering the realm of private consulting and program management. When not at work, Geoff can be found running the roads and trails of south western BC or in one of his many garden plots. Gordon Hiebert is an owner, designer and project manager at Element Eco-Design. Gordon has received training in Keyline Design and Water Management, Perennial Agriculture, Edible Forest Gardens, Agroforestry, Holistic Land Management, Natural Watershed Restoration, Soil Microbiology and Restoration Agriculture. Prior work experience includes energy efficient building, sustainable building research and development, land development, forest management and road construction. Gordon has worked with clients from many sectors including: agriculture, development, non-profits, tourism and government. Gordon’s work experience has allowed him to experience natural environments throughout British Columbia, Alberta and the Yukon. Lynn is an entomologist living in Smithers. She studied at Simon Fraser University, obtaining an MSc in Biological Sciences with a focus on honey bees. Lynn operates an environmental consultancy and has lived and worked throughout northern BC, northern Alberta, and the West Kootenay region. Lynn’s project work involves both terrestrial and aquatic insects, but her primary entomological area-of-interest is native bees and their role in plant pollination. When people think about bees and pollination, honey bees are often the first bees that come to mind; but we have an incredible diversity of important native species that are excellent pollinators of native plants, as well as cultivated garden plants. Ever stopped to look at who’s visiting the flowers on your raspberry bushes? Chances are you’ll see a lot of different, very busy, bumble bees! Marina (Nina) von Keyserlingk is a Professor and NSERC Industrial Research Chair in Animal Welfare at the University of British Columbia. Much of her research focuses on improving the lives of animals using behaviour to make inferences about the quality of life that they experience. Nina's work is also among the first in the field of animal welfare to combine experimental, quantitative work and qualitative methods including interviews, focus groups and online town halls meetings to understanding perspectives of farm animal caregivers and the public with regards to farm animal care. Because of this work as a scientist and as an educator on farm animal care, the impact of her work can now be seen on farms around the world. For seven years Terri Smith ran a biodynamic farm and market garden near William's Lake, BC at an elevation of over 1000 meters. With 35 days between frosts, her business, Road's End Vegetable Company still managed 18 weeks of harvest in the first year and 20+ weeks in the following years. Because the house was heated with wood and solar-powered, Terri had to learn how to extend the season without the use of grow lights or heated greenhouses. She is still constantly learning but loves to share her experiences of using a combination of succession planting, microclimates and cultivar choices to extend the growing season far beyond expectation.